You're now the proud owner of one of the most cutting-edge cars on the planet. To keep it around for years to come, try these simple car-care tips at home and at the dealer. For example, did you know that you should use different kinds of gas in the winter and the summer? Yeah, it's a thing. 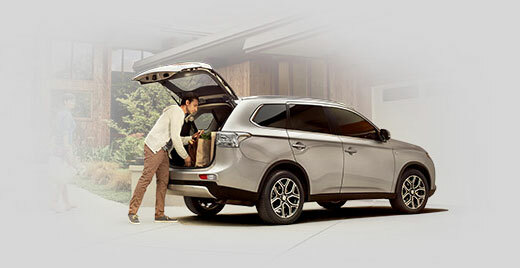 Read on to become a Mitsubishi-care aficionado. Towing varies by vehicle. Please reference your Owner's Manual to identify the appropriate methods for towing your vehicle. Inappropriately towing your vehicle can cause damage to the body or drivetrain. TPMS sensors transmit tire inflation pressure to an electronic control unit to warn drivers when they have significantly low inflation pressure in one or more tires. These sensors can be damaged by dirt and water, so valve stem caps should remain in place at all times. TPMS valve stem caps are equipped with a small, internal o-ring to seal out dirt and water. If a sensor is left uncapped, it can lead to corrosion or other damage, requiring sensor replacement. Do not use metal caps. Sensors are made from a specific alloy, and the use of a metal cap made from a dissimilar metal can cause "galvanic" corrosion. This makes it hard to remove the cap and may cause the stem to break if the cap is forced trying to remove it. Unlocking - Choose between flashing lamps and no signal. The horn cannot be selected for unlocking. The detailed procedure is explained in the Features and Controls section of the owner's manual, listed under "Keyless entry system." There are typically two types of commercially available wheel cleaners available to you; those intended for painted or clear coated wheels and those intended for regular chrome plated or polished metal wheels without a coating. Alloy wheels fitted as original equipment to Mitsubishi vehicles are manufactured with a clear protective coating, and using the wrong wheel cleaner can cause noticeable damage to the finish. These products often contain high acid or alkali levels, and the chemicals can penetrate the protective coating leaving spots or streaking that can't be removed. Remove dirt using a wet sponge. Use a mild detergent on any dirt that cannot be removed easily with water. Rinse the detergent after washing the wheel. Dry the wheel thoroughly using a chamois leather or soft cloth. Do not use a brush or use other hard implements on the wheels. Doing so could scratch them. Do not use any cleaner that contains an abrasive substance or is acidic or alkaline. Doing so could cause the coating on the wheels to peel or become discolored or stained. Do not directly apply hot water using a steam cleaner or by any other means. Contact with seawater or road salt used for de-icing can cause corrosion. Rinse off such substances as soon as possible. 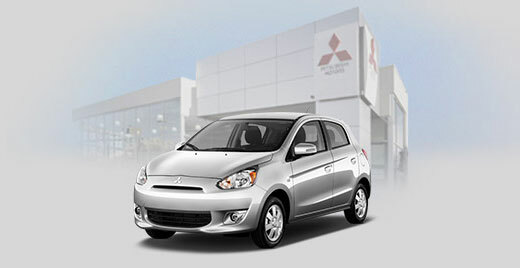 If you have additional questions, contact your authorized Mitsubishi Motors dealer. Your Mitsubishi Motors Dealership is in the best position to provide proper maintenance service through Mitsubishi's exclusive "Diamond Care Service." Commitment to Customer Satisfaction - Receive a Computerized Vehicle Inspection Report (CVIR) every time you visit, which will advise you of any recommended services as well as when they should be completed. Having your vehicle inspected regularly will help maximize engine performance and efficiency. Use the factory authorized scan tool to check for Diagnostic Trouble Codes in all of your Mitsubishi's computers. Check your vehicle's battery, starter, and charging system utilizing Mitsubishi's Advanced Battery and Electrical System Diagnostic Tester. Have factory trained technicians complete a 27-point inspection of key vehicle systems. Provide you a customized report of their findings. A clean air filter is vital to engine performance. As outside air travels through the intake on its way to the engine, it passes through the air filter. Dirt and debris, harmful to an engine, are trapped in the filter. Over time, as more material is trapped, the flow rate decreases, restricting the amount of air passing to the engine. If the filter is not replaced, engine power, acceleration, and fuel economy are reduced. Sample images shown below compares a new filter to a dirty filter. Select Mitsubishi models since 2004 may be equipped with a cabin air filter as an accessory. Similar in function to an engine air filter, the cabin air filter helps capture circulating dust and unwanted air particles before they enter the passenger compartment. These particles can affect the comfort and health of the vehicle's occupants. A dirty cabin filter may also restrict the airflow and taint the air quality entering the passenger compartment. Keep the air inside your vehicle fresh by replacing the filter as recommended. The brake fluid level should be checked regularly. Low brake fluid could result in a loss of hydraulic pressure, leading to a significant loss of braking ability. You may "top up" your brake fluid reservoir occasionally, but if brake fluid levels constantly drop, you may have a leak in your braking system. If this occurs, visit your local Authorized Mitsubishi Motors dealership as soon as possible. Brake fluid should also be changed according to the maintenance schedule and with the appropriate fluid indicated in your Owner's Manual. Moisture is absorbed by brake fluid, and no system is "air tight". Eventually, the water content can become too high and lead to corrosion of the braking system's components and brake fade. When you apply the brakes, the disc brake pads squeeze against the disc brake rotor to slow the vehicle. A new brake pad has approximately 10mm (0.39 inches) of pad material. The friction created during breaking cause pads to wear down. When the brake pad's thickness becomes approximately 2mm (0.08 inch) or less, metal wear indicators (if equipped) emit a squealing sound to alert the driver that brake pad replacement is required. Driving your vehicle when the brake pads are below 2mm thickness increases the chance of causing damage to the brake rotors from metal-to-metal contact, and a loss of braking power. If you need a replacement or additional key, or if you request a key code for your vehicle, dealers will request proof that you are the registered owner of the vehicle. This requires you to appear in person at your authorized Mitsubishi Motors dealer and provide a valid copy of the vehicle's registration and a valid, government issued photo ID (driver's license). Dealers will make photo copies of these documents and ask you to complete and sign an authorization form. Dealers will not provide key codes or cut keys without this information. This designation was created by members of the auto industry to identify gasoline brands in the US and Canada that meet their standards for detergent content and do not contain the gasoline supplement MMT (Methylcyclopentadienyl Manganese Tricarbonyl). Top Tier gasoline contains higher levels of detergent additives to prevent build-up of engine "gunk," known to reduce fuel economy and engine performance, and lead to possible mechanical breakdown. MMT is a gasoline supplement that is used to increase a fuel's octane rating. However, use of MMT in gasoline can lead to an increase in emissions and possible decrease in performance and fuel economy. It may even cause the malfunction indicator on your instrument panel to illuminate. Gasoline containing MMT is not commonly sold in the US, and is banned in California. Do not use gasoline containing MMT. Mitsubishi recommends all its vehicles be fueled with federal reformulated gasoline (see Oxygenated Fuels below) since it does not contain MMT. To determine if a fuel retailer sells gasoline containing MMT, you must contact their customer service department or ask the attendant on duty. The fuel pump will not indicate if MMT is contained in the gasoline. Oxygenated fuels, also known as reformulated gasoline, contain gasoline additives used to reduce carbon monoxide created during the burning of fuel, and helps reduce emissions. One popular oxygenated fuel available in the US is ethanol (grain alcohol). It is most commonly sold as E10 (10% ethanol, 90% gasoline) and is safe to use in your vehicle, as long as it meets the minimum octane requirement specified in your Owner's Manual. Some gasoline retailers may sell E15 (15% ethanol, 85% gasoline) or E85 (85% ethanol, 15% gasoline) and it must be labeled as such. Any gasoline containing more than 10% ethanol is not recommended to be used in your vehicle. One other oxygenated fuel available in the US is methanol (wood alcohol). Gasoline containing methanol cannot be used in your vehicle. Using this type of alcohol could adversely affect the vehicle's performance and damage critical parts of the vehicle's fuel system. Using gasoline with lower than the minimum required octane in your vehicle often results in a reduction of power output and efficiency, and may damage your vehicle's engine. Please reference your Owner's Manual for minimum octane requirement. There is no advantage in using higher than the minimum required octane in your vehicle unless otherwise indicated in your Owner's Manual. Due to the volatile nature of gasoline, most retailers provide gasoline blended for Summer or Winter weather conditions. "Summer" gasoline contains detergents with lower volatility, making it less prone to evaporation, and reduces the emission of unburned hydrocarbons. "Summer" gasoline varies by region, and is usually sold in warm or hot weather conditions. "Winter" gasoline contains detergents with higher volatility, which compensates for cold, dense air and assists in cold start conditions. "Winter" gasoline varies by region, and is usually sold in cold weather conditions. Using "Summer" gasoline in cold weather conditions and "Winter" gasoline in warm or hot weather conditions can cause minor complications. Typically, refueling at a major name brand gasoline retailer will remedy this situation. Your vehicle may have been designed to satisfy California's low-emission regulations, which are based on clean-burning, low-sulfur gasoline. Gasoline sold in other parts of the country can have higher sulfur content. Using such gasoline could cause the engine malfunction indicator to illuminate. Sulfuric odor is emitted from your vehicle's exhaust system, but is not always noticeable. Typically, the odor can be noticed during engine warm-up from a cold start, right after deceleration, or after wide-open throttle acceleration. This is a normal condition, however, if the odor becomes overwhelming; please contact your local Authorized Mitsubishi Motors dealership to discuss. Always handle fuel in a well-ventilated, outdoor area and do not inhale fuel vapor. Do not use any mobile devices (pagers, cellular phones, tablets). Keep away from flames, sparks, and smoking materials. Before removing the fuel cap, discharge your body's static electricity by touching a metal part of the car or fuel pump. Any static electricity on your body could create a spark that ignites fuel vapor. Perform the whole fueling process yourself. Do not let any other person come near the fuel tank filler. Do not move away from the fuel tank filler until the refueling is finished. Do not "top off" your fuel tank. Always securely tighten the fuel cap per the procedure in the Owner's Manual. An insufficiently tightened cap can cause illumination of the service engine light. The Mitsubishi Tech Info website is a subscription based website for obtaining detailed technical information, including service manuals, Technical Service Bulletins and other technical publications. Subscriptions are available on a daily, monthly or yearly basis and can be accessed by anyone with a valid Visa card, Mastercard or PayPal account. Visit the website for details and pricing. The Mitsubishi Multi-Communication System (MMCS, audio with navigation) can do more than just display maps and play music. For example, depending on model and model year, you can set maintenance reminders, store an address book for Bluetooth connectivity, and adjust some vehicle systems, like RKE answerback, windshield wiper intermittent operation, interior and exterior light auto off settings and a number of other settings. Refer to the dedicated MMCS instruction manual included with your owner's information packet for details. If you do not have a copy, it is available on this website, or it can be ordered through your authorized Mitsubishi Motors dealer. 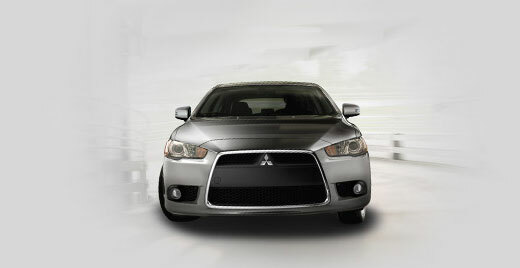 * Please contact your Mitsubishi dealer for additional information.